I remember looking at the map sensor and seeing 3 prongs, just like on this harness. 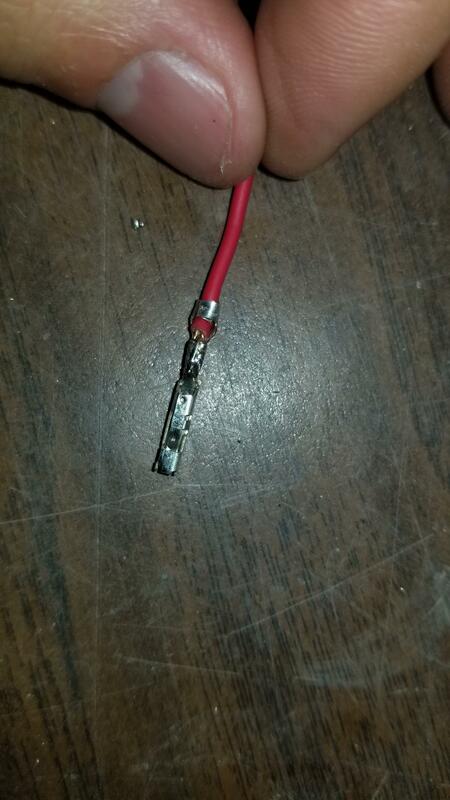 Theres 10 wires total that come out of the tuner which does add up to the wires at the plugs. 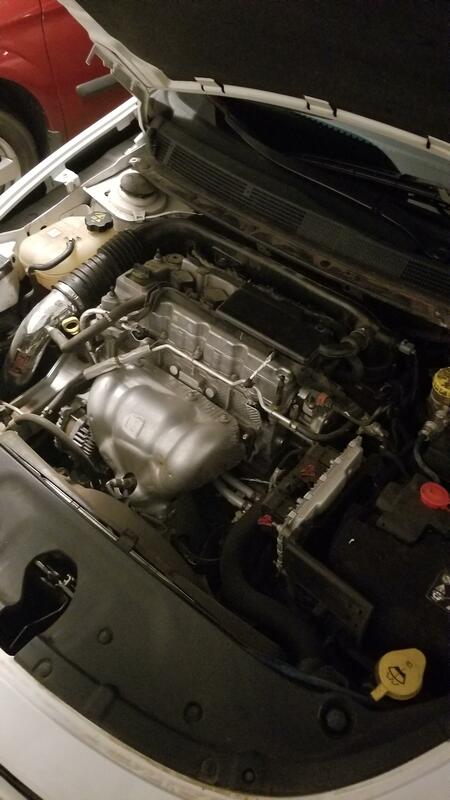 Now on the air flow sensor(i think) the one that plugs into the intake, theres a wire that bridges across to just let the current pass through. 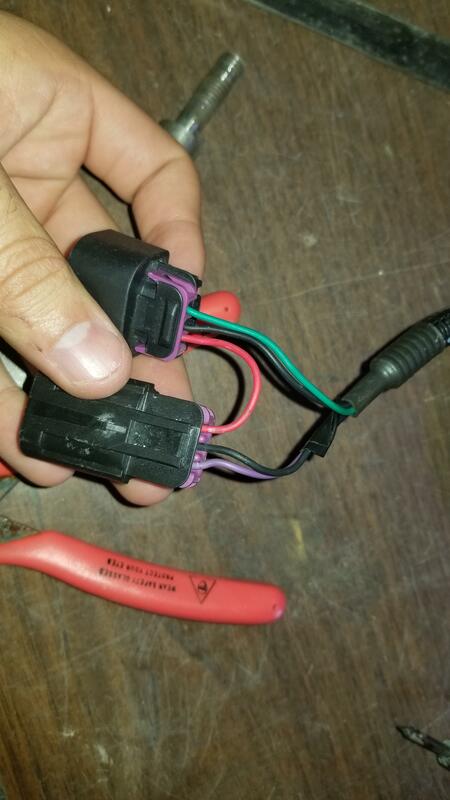 Could that maybe be what this red wire is? Im kinda at a loss on what to do if its a low circut instead of open. Should i tap in and test with a multimeter? When I opened the box the board is covered with epoxy, probably for water resistance I guess. It looks like it plugs into the connector next to it. Try to connect them. Make sure you have continuity in both pig tails and throw it on the car. Man I hope this really works out! Looks like you went the extra mile and soldered that thing in place!!! It's a fun little device and it really makes the 2.4 feel like i think it should and actually does improve mpg once you get over the "VTEC YO!" pedal to the metal phase. Thanks man, I was really bummed out when it diddnt work... but now it works great! It was a steal for only 200 bucks shipped on ebay. Just did a 0-60 and I got it at 9.7, not bad for the 11.3 I got before! I've installed the Injen intake, the tuner, and have the pully sitting in the box. I'm excited to get the last part in! @Parabolaralus I'm in tucson AZ and we're at roughly 2,600 feet above sea level. Please let us know your thoughts on the RRM 2.4L Tuner as you get more miles on it. Also, what difference you see when you install the pulley. Would you be able to let us know your thoughts on the RRM 2.4L Tuner now that you may have put some more miles on it. Also, what difference you see when you install the pulley. VIDEO - Ghost Car Causes Accident!